The Ocean Ridge Plantation golf course has uncommon coastal elevation changes and rolling fairways carved into a pine forest. It’s a course of unquestioned quality and regarded by some as the finest of ORP’s four Big Cats. 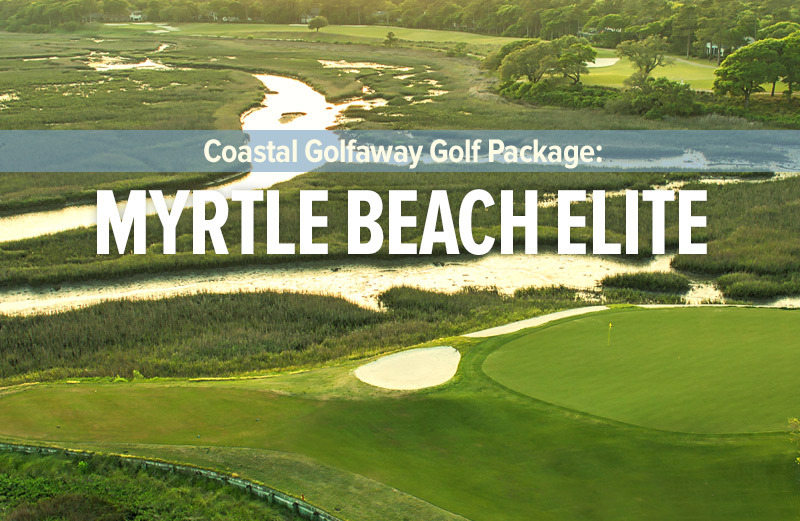 The Myrtle Beach golf market features some of the nation’s most respected courses, and Tiger’s Eye can comfortably take its spot alongside the best of them. Tiger’s Eye has been ranked among America’s 100 Greatest Public Courses by Golf Digest and is universally regarded as one of North Carolina’s best. One of the most appealing aspects of Tiger’s Eye is its playability. Water is visible on nearly every hole and waste bunkers are nearly as abundant, presenting ample challenges. It’s cliché to say a course has a set of tee for everyone but in the case of Tiger’s Eye it’s true. Cate installed six sets of tees, including three that range from 6,120 yards to 7,014. If players check their ego at the door and play from the proper distance, an outstanding and imminently fair test of golf awaits. Tiger’s Eye features bentgrass greens that are in impeccable condition. The greens are among the Grand Strand’s largest and have considerable undulation, making distance control pivotal to success. Players that can lag the first putt inside four to five feet can approach the next putt confident in the fact they will get a true roll. Tiger’s Eye was the third golf course at Ocean Ridge Plantation, coming after Lion’s Paw and Panther’s Run and before the acclaimed Leopard’s Chase – and there are very few houses visible, adding to its appeal. Cut into a pine forest, the course is a testament to the work of Cate, one of golf’s most underrated architects. Cate, who has Leopard’s Chase and The Thistle, among others, to his credit, uses waste bunkers, water and elevation changes of up to 60 feet to enhance the layout’s visual appeal and challenge. Perhaps most unique components of Cate’s work at Tiger’s Eye is his use large coquina boulders. The giant stones were harvested locally and they form a bulkhead around practically every lake. It’s stunning to the eye and speaks to the commitment that was put into making Tiger’s Eye an elite layout. “I’d definitely recommend this course,” Pennsylvanian Henry Garcia said. Holloman believes the par 3s at Tiger’s Eye are as good as any on the Grand Strand and it’s not an unreasonable position to hold. All four holes provide great visuals and water is a factor on three of them. The front side par 3s – No. 2 and No. 6 – are both excellent. The second is 190 yards and it plays uphill into a large two-tiered green. A forced carry over water is required but it’s not exceedingly long. Of greater concern are the two bunkers in front of the green. The hole plays longer than the card reads because of the elevation and greatest penalty is for coming up short. If there is any doubt, take an extra club. The sixth is the only par 3 that doesn’t feature water but a waste bunker envelopes the green on three sides. The green features three different tiers, so finding the dance floor is no guarantee of par. The 11th hole is one of the course’s prettiest and most popular. It is surrounded on three sides by water and the coquina boulders are at their most prominent. It’s the shortest par 3 at 165 yards, but the most difficult, according to the scorecard. The water is a daunting challenge on its own and the green is just 28 yards deep, the course’s second smallest. Don’t be a hero and go flag hunting. Find the middle of the green. The 208-yard 17th hole has decided more than a few matches. Water creeps up to the left edge of the green and bunkers are on the right. The front of the green is narrow and trouble isn’t hard to find. The scorecard ranks No. 17 as the easiest hole on the backside, don’t believe it. The par 4s at Tiger’s Eye offer great diversity. The holes range from 356 yards to a meaty 452, playing form the Saber Tooth (or back) tees. Players that choose the right set of tees will love the challenge of the par 4s at Tiger’s Eye. The 422-yard fourth hole, with its double fairway, two large waste bunkers and a lake exemplifies the type of risk-reward challenges Cate presents to players. If you can successfully cut off the dogleg, a short approach and possible birdie await. A wayward tee shot could lead to a number you only want to see on the front of your balance statement. Players that choose a more traditional route face a hole that is relatively long and challenging. The choice is yours. The easiest hole on the course, according to Holloman, is the 377-yard first hole. The fairway is generous and the green large. It offers the opportunity for a nice start. The 10th hole, which is visible from clubhouse deck, is the shortest par 4 at 356 yards. The hole rewards players who can hit the ball 250 yards+ with an extremely wide fairway and a good angle into the green. The final two-shotter is the 447-yard 16th. The hole is straight as an arrow and a creek dissects the fairway 90 yards from the green. The fairway is relatively large but two bunkers on the right loom alongside the primary landing area 230 yards from the tee box. The creek shouldn’t come into play but two bunkers around an elevated green certainly can. The Tiger’s Eye par 4s are challenging but very enjoyable. 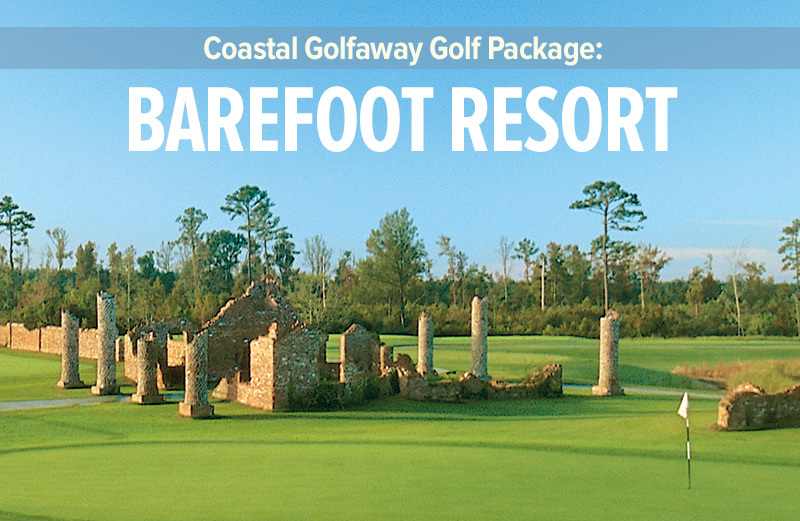 At some Myrtle Beach golf courses, par 5s offer the chance to pick up easy strokes. Tiger’s Eye isn’t one of those courses. The par 5s represent three of the course’s four hardest holes, according to the scorecard, and all of them measure at least 531 yards. The opening par 5 is the 551-yard, third hole. It’s arrow straight but the fairway is narrow and a waste bunker on the right side is unrelenting. The third hole requires one of the course’s longest carries – approximately 230 yards from the back tees – though it’s not over water. The second shot can be equally hazardous as the fairway is at its narrowest point 125 yards from the green. The seventh is 562 yards and has water menacing the right side that gives players the shakes. The fairway is a little more generous, but three fairway bunkers come into play. It’s a beautiful hole that ends with a green surrounded by three more bunkers. The 531-yard 15th is the shortest par 5 and it offers the rare chance to go for the green in two, if you can bomb a 3-wood off the deck, but it’s not without risks. The hole is one of Holloman’s favorites. For players going for the green in two, the green is 42 yards deep, the course’s biggest. Ironically, the longest par 5, the 592-yard 18th, is also the easiest. It plays from an elevated tee box down into the fairway. The final approach to the green, with a lake and the clubhouse serving as a backdrop, is stunning. It’s a picturesque way to finish a round.